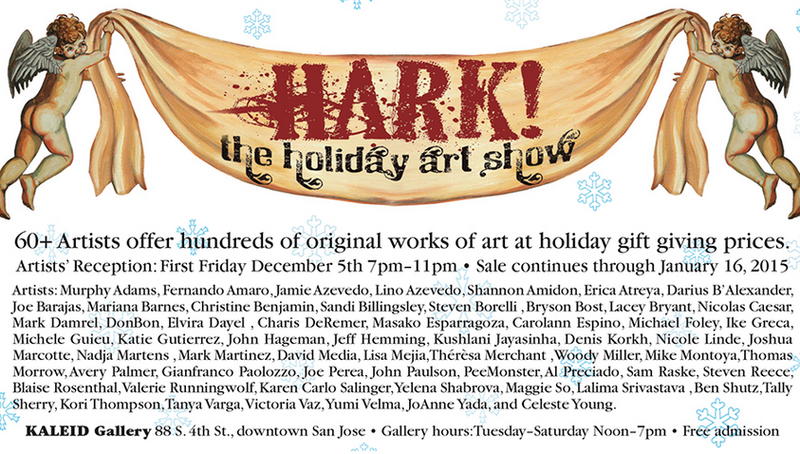 Today there is a holiday art show at KALEID Gallery Downtown (next to Flames). The show runs from 7-11pm and features work from over 60 artists, including one of my personal favorites--guerrilla photographer Josh Marcotte from Lost San Jose. Give the gift of local art this holiday season!